Some days, being a parent is fun — it’s an absolute breeze. Everything runs smoothly and everyone is happy. But other days, it’s like a slow slide into madness, Gotham style. Those of you know me will understand that I am usually far more partial to the Marvel Universe than I am to the world of DC Comics, but on those days (yes, you know the ones) there is something about Gotham and its seedy underworld of crazed criminals that I can relate to. Those are the days when I feel like a disillusioned lawman, struggling to bring order to a city intent on dragging itself down into madness. The days when you either channel your inner Detective Jim Gordon or risk winding up in the crumbling confines of Arkham Asylum. 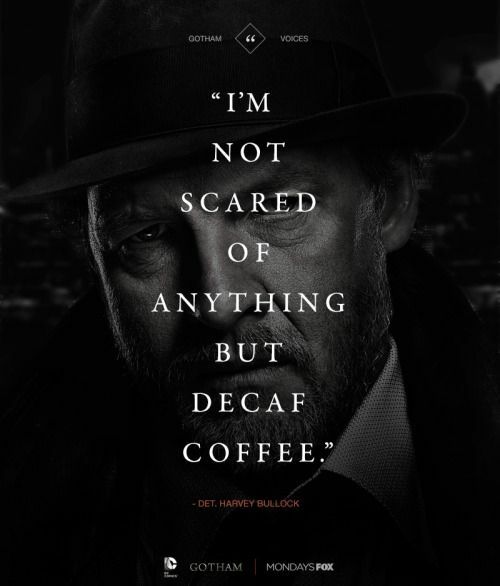 I’m not sure whether I’m making this (massively tenuous) connection because I have just binged on Season One of Gotham on Netflix or because in this part of the world we’re halfway through the final term of school — both possibilities are equally likely. It’s just that time of year. Term Four. The kids, despite their best efforts, are beginning to get…ratty (I’m trying to be nice, here). And I, despite my best intentions, am certainly not being the model of a rational, reasonable mother I aspire to be. Everyone is a bit tired, a little strung out, and a tad more likely to snap. To answer back. To yell, instead of taking a single, soul-saving breath. I’m not sure why I always find it surprising that at this time of year simple things — like buckling car seatbelts, for instance — seem to become inordinately difficult for my children. That everyday activities like locating a hairbrush or two matching shoes of a morning, or washing a stack of lunch boxes each afternoon, suddenly leave me teetering on the edge of insanity. Next year, perhaps, I will put a big circle around November 1 on my calendar to remind me that it’s time to regroup. To return to my First Principles. To restock my caffeine and chocolate stashes. To remember that while I may be fluent in both profanity and sarcasm, neither represents my best self linguistically. 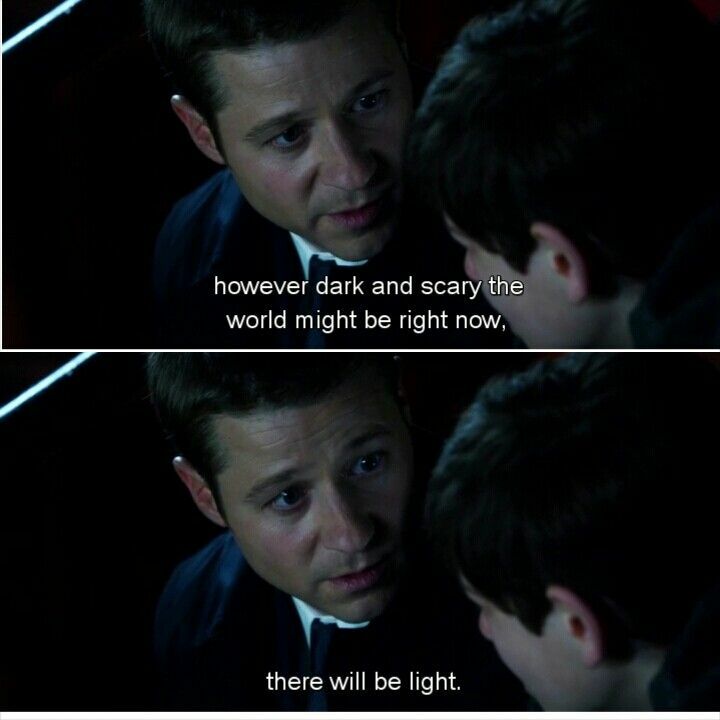 I would also do well to recall some of the lessons learned from Gotham, particularly those that the young Jim Gordon imparts to the even younger Bruce Wayne, long before one was appointed Commissioner of the Gotham City Police Department and the other became Batman. Of the importance of honesty. Of doing what is right, rather than what is easy. Of treating people, including my family — no, especially my family — with respect. 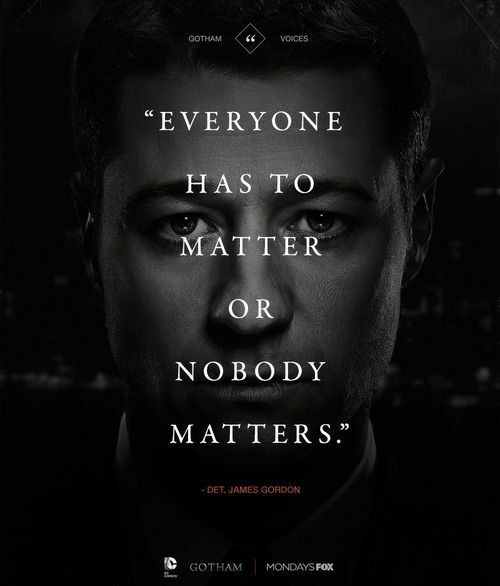 As Jim Gordon says, “Everyone has to matter, or nobody matters”. We all have Gotham days, all of us. And for every one of us, Gotham looks and feels slightly different. We’ve all experienced times when we’ve shouted at our kids instead of holding them close, when we’ve lost it over something trifling and insignificant that we look back on with almost instant mortification and remorse. But it’s also important to remember that we’re not alone, even when it feels like the descent into chaos is only a step away. Even on Gotham days. 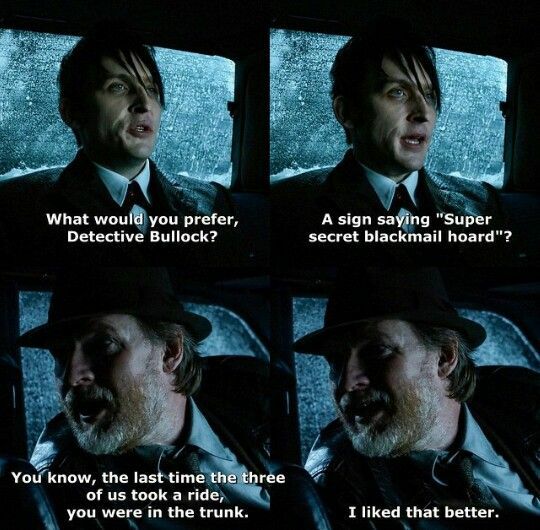 Especially on Gotham Days. And that includes the person who feels like they’re sliding slowly into insanity. 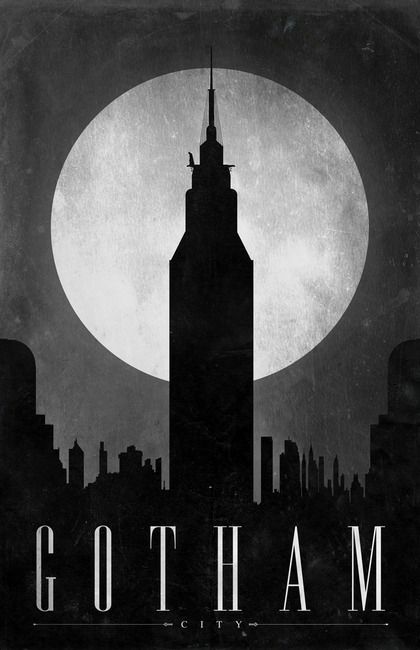 Yesterday, as you might have guessed, I had a Gotham day. I’m not proud of it, or of the way I behaved. But today, I’m doing better. I’ve apologised to my family for yesterday’s yelling and unnecessarily sardonic remarks. I’ve sent up my bat signal, I’ve made my mental phone call to the GCPD. I’ve had a coffee (definitely not decaf). And, instead of checking myself into Arkham, I’ve embraced the insanity and set up plastic dinosaurs in a potted plant in the bathroom for my girls to discover when they come home. I’m looking forward to their laughter. And the light? Well, I’m looking at that already.